Available with us is a gamut of Open Flame Rock And Roll that is designed as per the latest technology and offers high performance and durability. Our range can also be customized to suit the requirements of the individual client. Incepted in year 2002, we have been able to comprehend the different requirements of our clients. The understanding developed over the years enables us to offer Roto-molding Machines that are at par with the international standards. 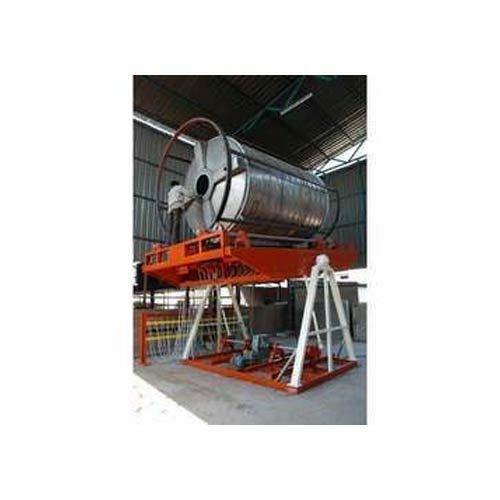 The different types of Roto-molding (Rotational Molding) Machines, we offer Bi-Axial Multi Arm, Bi-Axial Two Arm, Bi-Axial Three Arm, Bi-Axial Four Arm, Rock n Roll Closed Oven, Rock N Roll Open Flame, Molds, Pulverizer, Extruders and Scrap Cutter and more total turnkey basis supply to all over the world. State-of-the-art mechanical design along with the experience and professionalism of our highly motivated team, results in a line of world class Roto-molding Machines. The high quality construction and the selection of the best components make our machines best and competent for world markets. The Rotational Molding Machines & Pulverizers, we offer are highly demand in both domestic and international markets. Apart from Indian markets, we have been consistently catering to markets of South America, Middle East, Australia and South Africa. We are proud to state that our company is a certified member of ARM International (Association of Rotational Molders International).